No cards are missing from the main and the listed expansion sets. 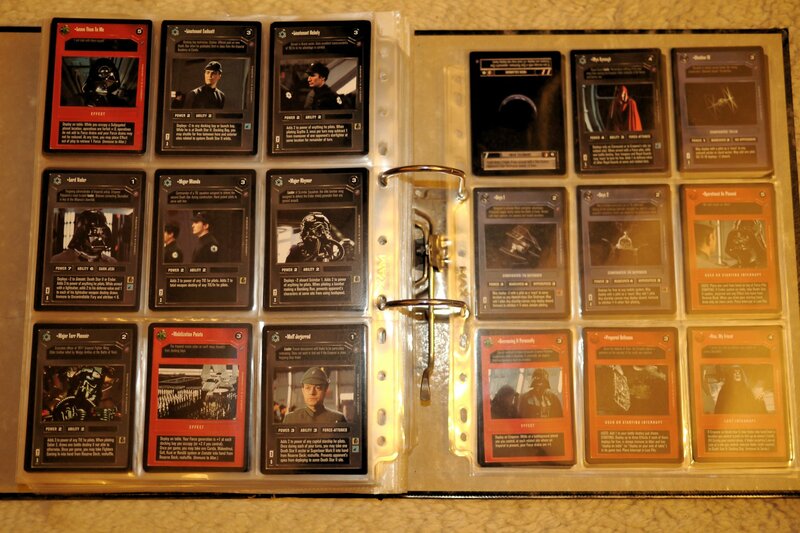 All cards are limited edition (black border). 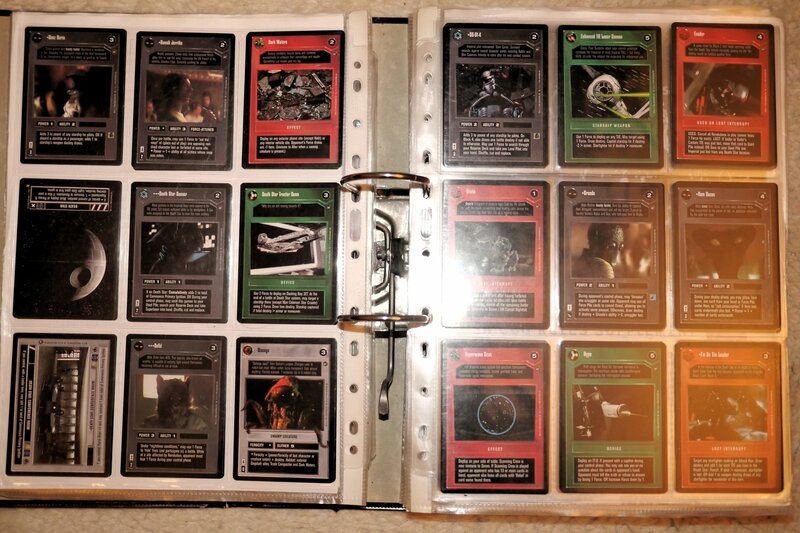 All cards are in good to near-mint condition (not sure if kinks on the edges are allowed for near-mint). There are some more special thingy cards in my collection (feel free to ask). 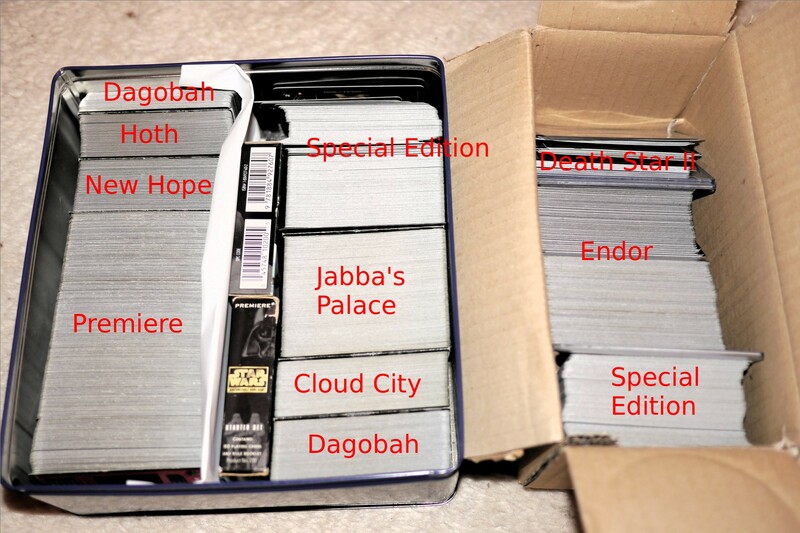 This collection is accompanied with a guesstimated set of 2,000+ cards (commons, uncommons and rares). Everything is ready for play (opponents not included!). Unfortunately, in the last few years I found neither time nor players to join me in a fair good vs. evil match. And it does not look so well for years to come. This is why I decided to part with my collection if anyone is interested in it. I do not offer this on eBay or similar platforms because I really care about these cards. 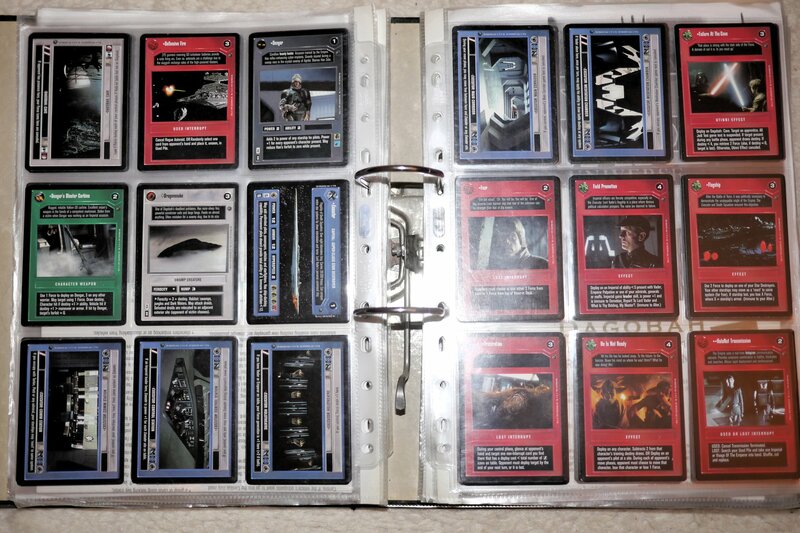 I want to know, whom my beloved Siths and Bounty Hunters and Star Destroyers go to, when I give them away. I would like them to be played – not merely collected or blantly sold. So, if you are interested in these cards, please let me know. 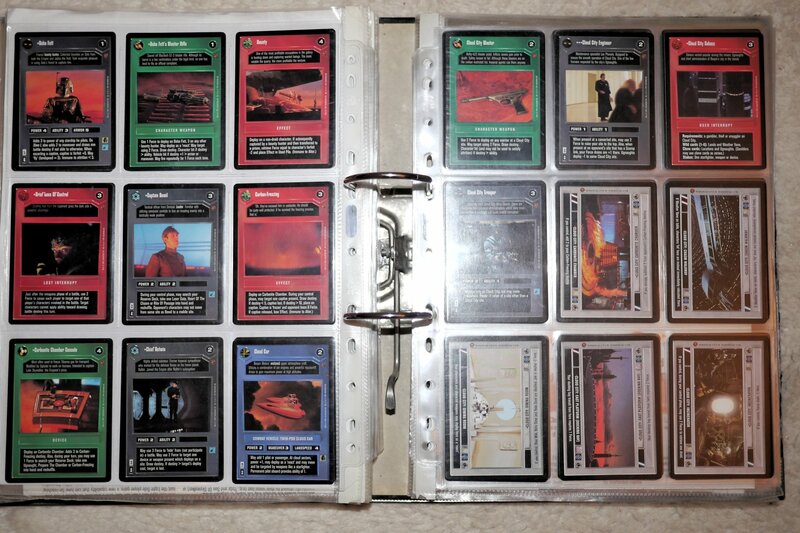 You can ask me about details of cards in the collection, I can make pictures if you want to see their condition, etc. Anything, really. 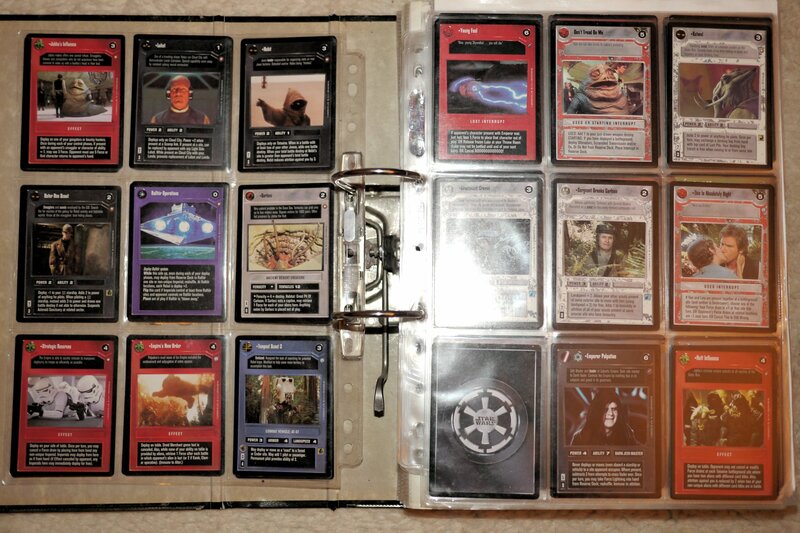 Only, I am highly unlikely to sell single cards and break my collection apart. 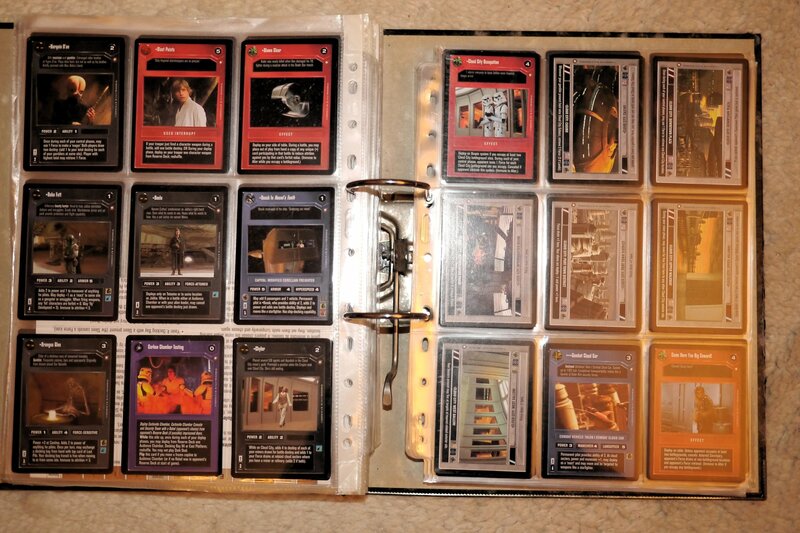 That said, I hope my dark SW:CCG collection finds a new owner to give it some well-deserved action. I know there still is a community for this game out there. 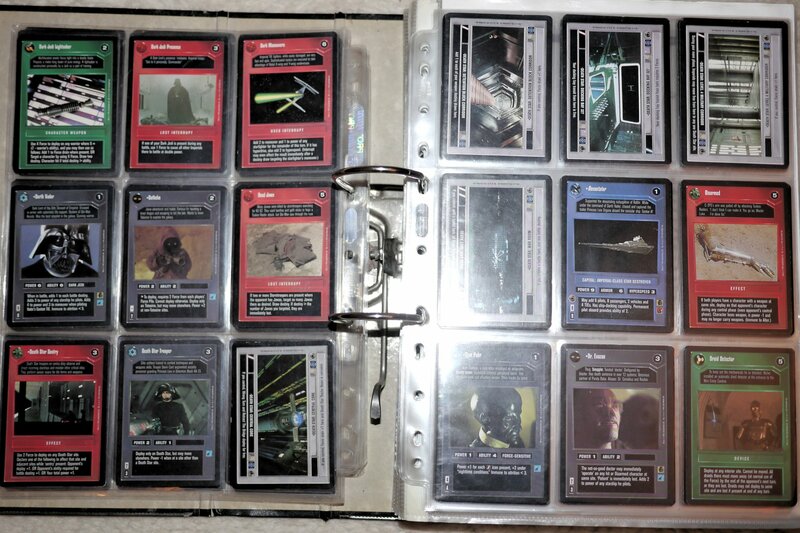 Here's to you, fellow SW:CCG fans! PS: Some more big sample pictures in the text links below.